The former president made a surprise visit to the Wired for Change conference in New York today to speak on the use–and overuse–of technology in developing and developed nations. Though he joked he was too much of a dinosaur to weigh in on technology, President Bill Clinton did so anyway at a surprise talk at today’s Wired for Change conference at the Ford Foundation in New York. Technology is not inherently a force for good, he cautioned, but is only so if it helps build, strengthen, and reform institutions. Clinton cautioned that while technology holds much promise to help bring progress, technology in itself isn’t sufficient to elevate the condition of the world’s poor, and in some cases (particularly in developed countries), technology is often part of the problem. He began on a lighthearted note, admitting that maybe he wasn’t the most credible person to weigh in on technology. “I sent a grand total of two emails as president,” he said, “one to our troops in the Adriatic, and one to John Glenn when he was 77 years old in outer space. I figured it was OK if Congress subpoenaed those.” When he took office in ’93, he added, there were about 50 sites on the Internet, and cell phones were so heavy that they were best used for bicep curls. The stand-up routine part of his talk completed, Clinton pivoted to consider the importance of information technology in the future. He had just flown in from Haiti, where he could already point to several instances in which technology held great promise to strengthen the rebuilding effort there. Mobile phone companies had emerged, surprisingly, as heroic figures in an effort to reform the country’s stodgy and traditional banking system, which charged enormous fees. Another important assist from technology in Haiti had helped increase transparency and information–sharing among NGOs. One of the most common criticisms of NGOs, said Clinton, was that they are often redundant, working on overlapping projects. Taking a page from a similar initiative among NGOs following the South Asian tsunami, Haitian NGOs had volunteered to share information on contributions and activities, all of which is published on the Internet, making the whole process transparent and helping avoid redundancy. “Do we need technology? Yes,” he said. “But it needs to be in the service of building functioning institutions. The big problem in poor countries is they don’t have the institutions we take for granted.” In wealthy countries, he added, the problem is just the opposite. “What caused the meltdown? Our financial institutions worked arguably too well, at warp speed.” They pushed money up, aggregated it, and when that money was “dressed up with no place to go,” people used information technology to help do fancy things with money that were disconnected with the real economy. 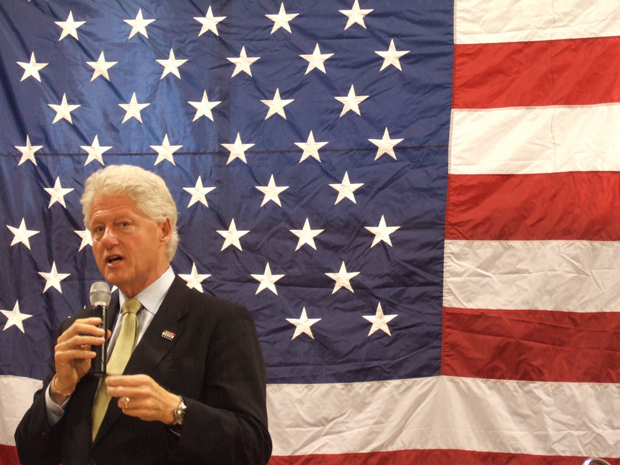 “The challenge in poor countries is institution building,” President Clinton said. “The challenge in rich countries is institutional reform.” Technology is only an agent for salubrious change, then, insofar as it promotes those twin goals.